Disciple.Me is a freely given discipleship curriculum for followers of Jesus. The website features scripture discoveries and exercises as well as a collection of gathered resources from others, organized into 7 sequential sections. Because discipleship time with someone can be short-lived, the website is constantly organized to be short and sweet with only the best resources. Defining discipleship and the urgency of it’s call may perhaps be our biggest concern in the church today. Assuming we believe we are commissioned to make disciples, what is a disciple? How does one become a disciple and disciple others? What does it look like? Is it hard or easy? Is it simply growing in your faith or is it something more? You don’t need to go over every single piece of material. Think of this as a resource library. Use with someone one on one, or in a small group. Keep in mind, the smaller the group the more you can tailer to personal needs. Each person prefers to learn in their own way. Disciple.Me has been designed to mix up learning styles to meet those various needs. Use the commitment sheet with your disciplee(s) to get their commitment to learn as well as self-evaluate where they're currently at. There is also an exit survey you can use to compare growth! 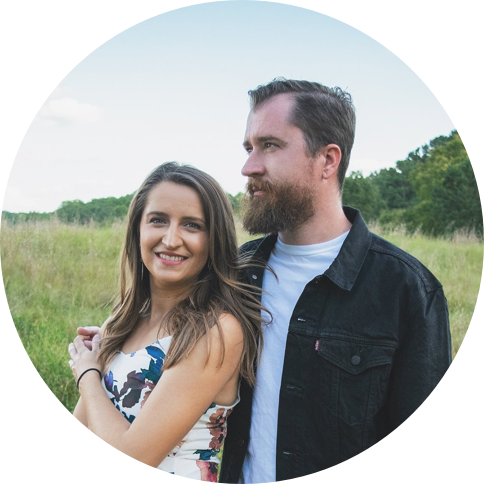 This project was produced by Caleb and Naomi Amesbury as a labor of love and a gift for the Church. Caleb is a graphic artist / web designer and Naomi is currently a full time mom to daughter Sarai. Both are avid disciple makers and members of The Summit Church.